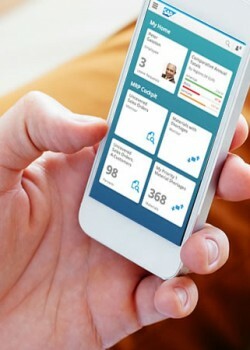 Empower employees, customers, and stakeholders with mobile software from SAP. The mobile platform makes it easy to build & deploy user-centric mobile apps that work seamlessly across any mobile device for improved operations, increased loyalty, and reduced support costs. Mawai can help businesses access true, real-time data anytime, anywhere and on any device with SAP Enterprise Mobility. With unparalleled integration to the back end system, benefit from the wide range of mobile applications and infrastructure designed for business users and for those out in the field. Unwire the business with mobile solutions from SAP and Mawai, to give employees and customers the flexibility and accessibility needed for greater productivity. Satisfy customers better with SAP mobile solutions, and provide employees with secure access to important tools, reports and data – anywhere, anytime. Put the power of SAP’s advanced mobile platform to work and give mobile employees secure access to real-time information and processes anytime, on any device with Sybase Unwired Platform, Afaria and Sybase 365 from SAP. Mawai offers competitive pricing and customized services for all of SAP’s Mobility Platforms.